Imagine yourself immersed in the locales similar to the train journey from the animated movie polar express. 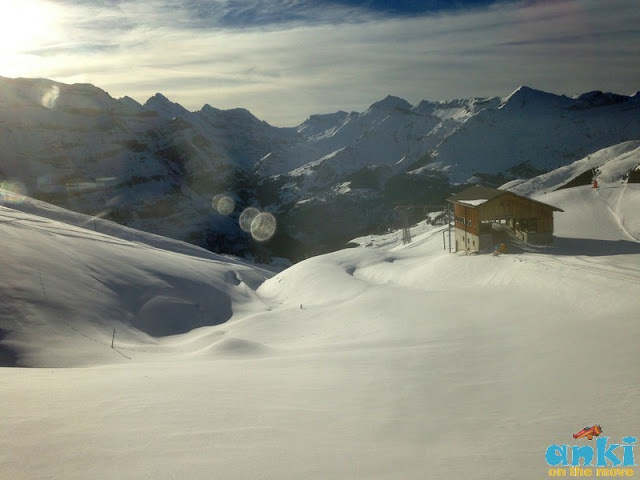 Such are the winters of #Switzerland were snow is more than a tease ; its like a dream. It was where, I took my go pro out the train window and decided to capture the fluffy snow and the gliding train. The sense of adventure propelled my desire to explore further. The legends of folk stories of the mountains are mesmerizing. It is said that the mountains monk(Monch ) protects the virgin ( Jungfrau) from the beast (Eiger mountains) . 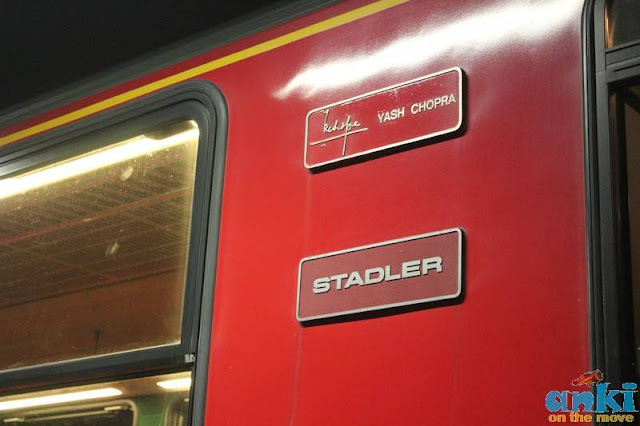 The land made famous in India by our Yash Chopra, we also have a train dedicated to Yash Chopra which you can’t miss. Take the ride in Yash Chopra Train at Jungfrau railways. His contribution towards Interlaken is so immense that in May 2016, a statue of him was unveiled in Interlaken. The view from the window of one of the stops in Jungfrau Railways. 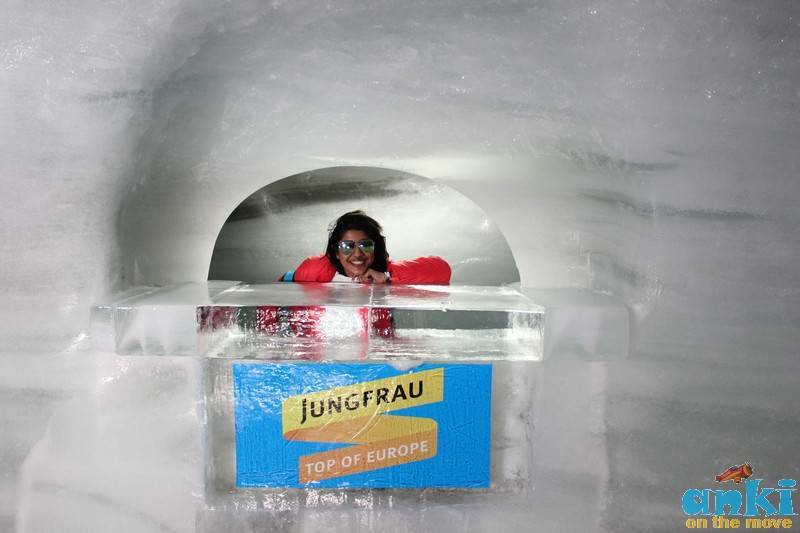 Jungfraujoch is hugely popular with tourists from India. 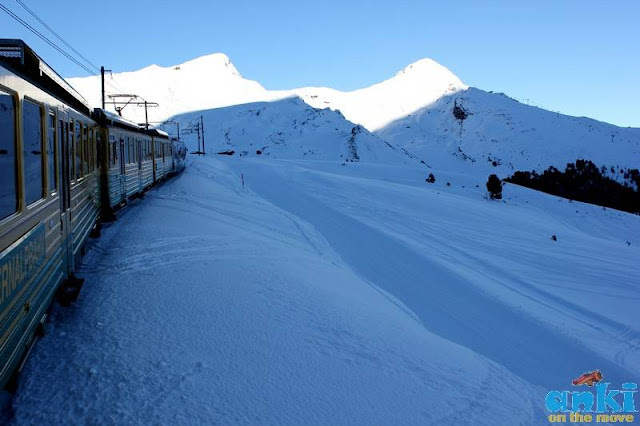 Bundles of snow and view of glaciers with ease of accessibility with timely trains, makes it an ideal place to go in winters #winterlaken. 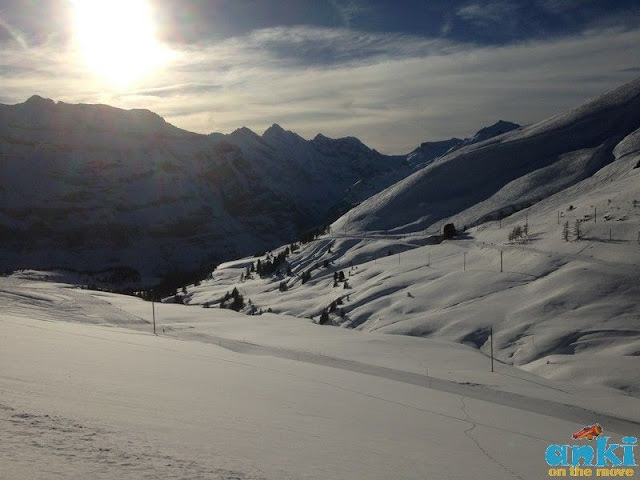 Since winters are near, let’s also talk about our speedy sledge run through hairpin bends at the foot of Eiger North Face in snow. There are plenty of events and activities to do during winters including Skiing, Ice Fishing, Zip lining and Ice Skating. 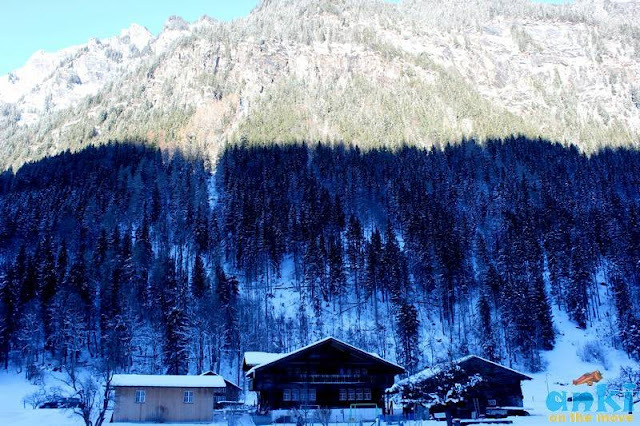 If you haven’t checked my previous two blog posts please do, we were in Switzerland in January, we rented our jackets and got ourselves going in the popular picturesque halt of Switzerland - Interlaken. 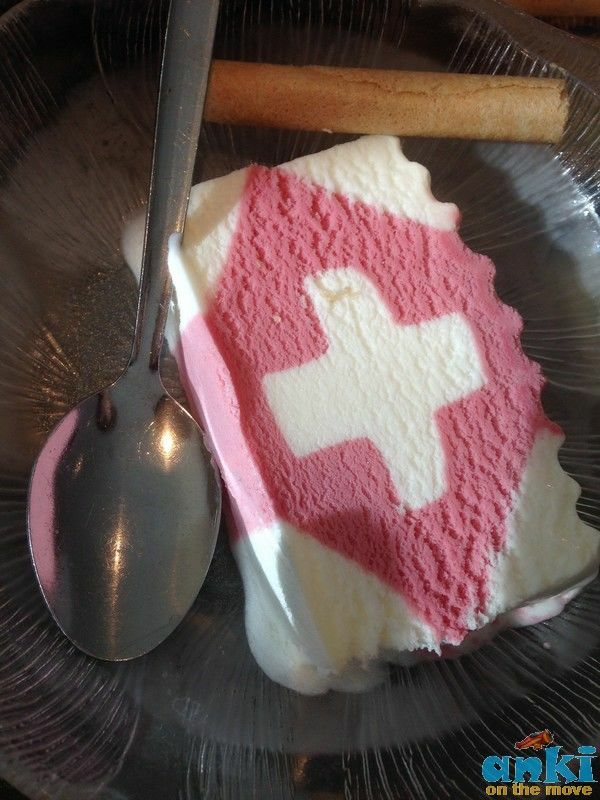 If you wish to know more about culture of Switzerland, cheese and yodeling etc etc, check my series of post from my earlier travel. So where is Jungfrau ? The Jungfraujoch is situated halfway between Interlaken and Fieschat at 3,454 m above sea level with the Sphinx observatory . 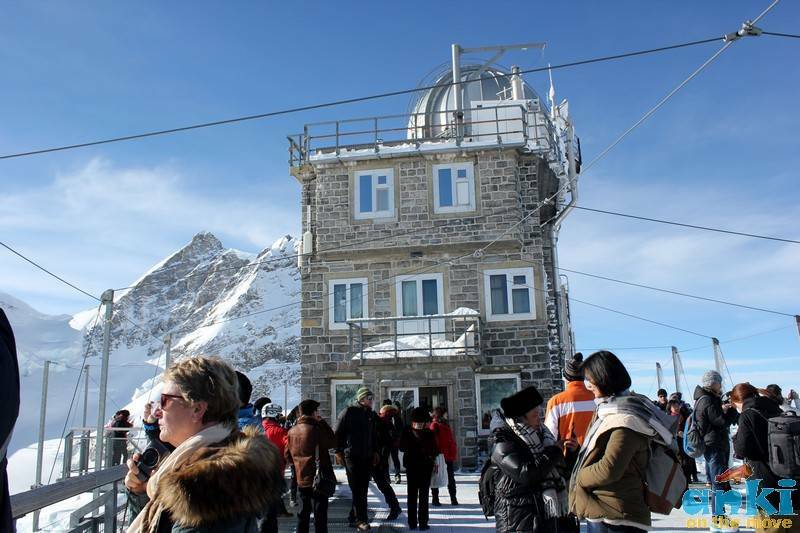 This striking building is not only seen as the Top of Europe for the tourists, but also one of the best equipped research stations in the whole world. 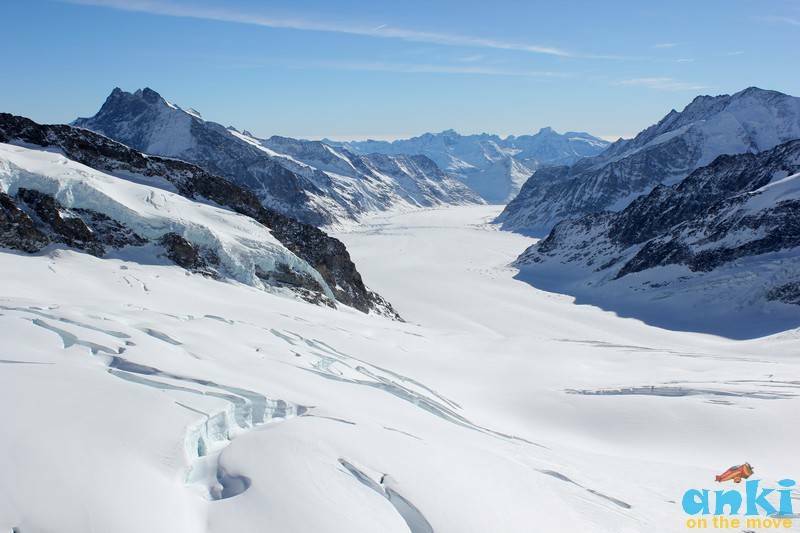 So, how do we reach Jungfrau? The train into the mountain leaves from Kleine Scheidegg, which can be reached by trains from Grindelwald and Lauterbrunnen via Wengen. The train enters the tunnel running eastward through the Eiger shortly above Kleine Scheidegg. 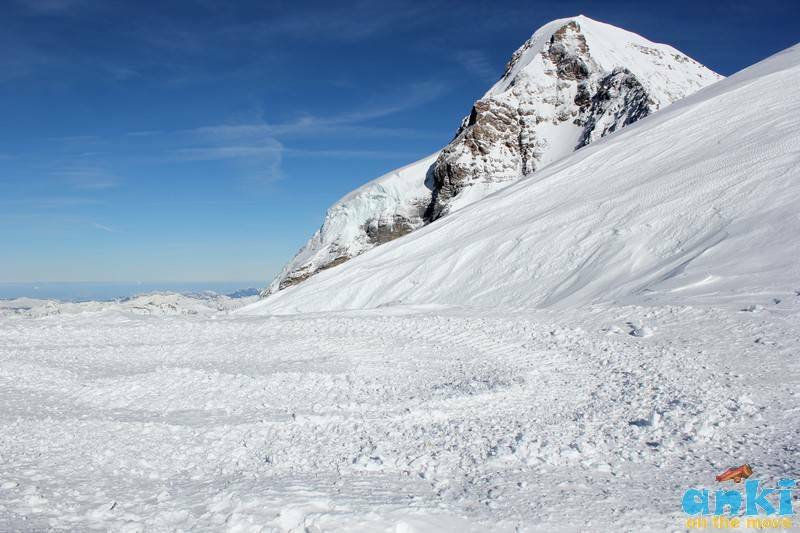 Before arriving at the Jungfraujoch, it stops for a few minutes at two other stations, Eigerwand (on the north face of the Eiger) and Eismeer (on the south side), you can see through the holes excavated from the mountain. The journey from Kleine Scheidegg to Jungfraujoch takes approximately 50 minutes including the stops; the downhill return journey taking only 35 minutes. If you travel via Grindelwald you can best sit on the right for the best view. 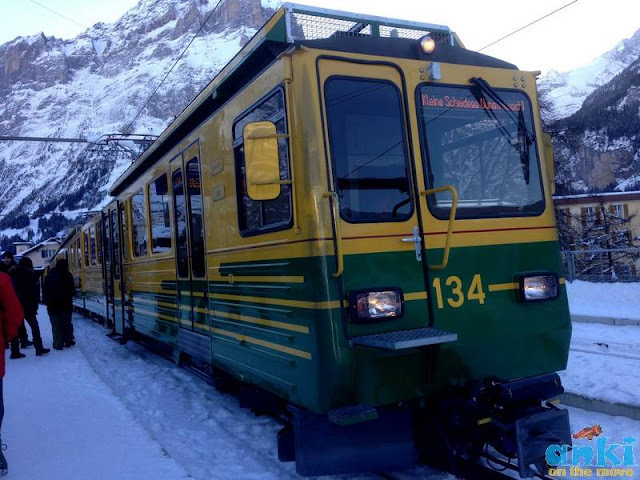 In Grindelwald, you change to the train to Kleine Scheidegg. You can either sit on the left for an up close view of the Eiger North face or on the right for a wider view across the mountains. If you choose to travel via Lauterbrunnen you can best sit on the right of the train when departing from Interlaken. You'll have a slightly better view that way. After changing trains in Lauterbrunnen, the best view in the train to Kleine Scheidegg is again on he right. 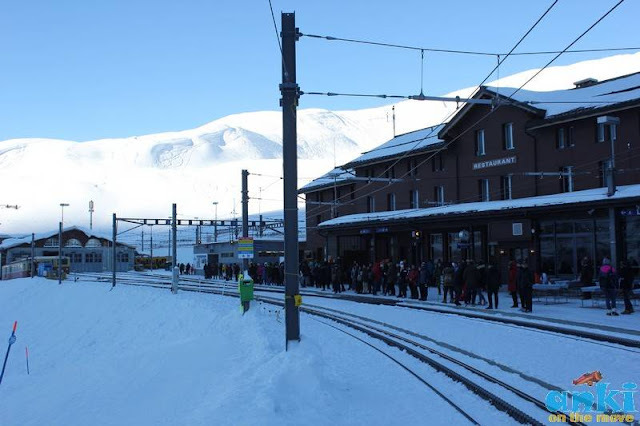 For travel to Jungfrau its better to use your Swiss Pass than book independently. 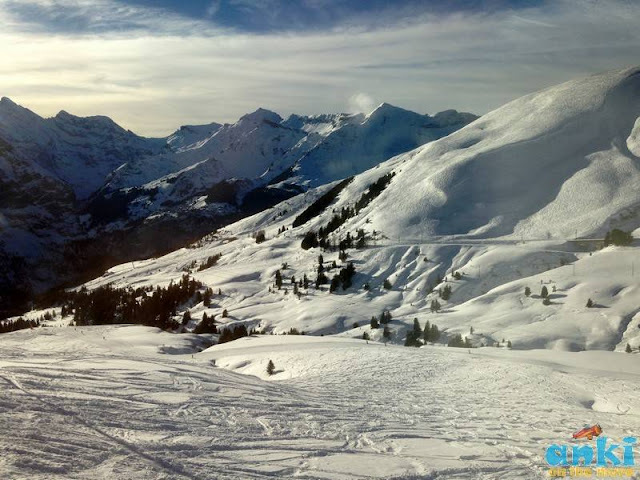 The round trip cost is 204 CHF but with swiss pass you do get some discounts (25-50%) and the cost may reduce to about CHF 133. Now the thing with the mountains is that you often would wonder, how is it that these routes are carved, isn’t there chances of avalanche? 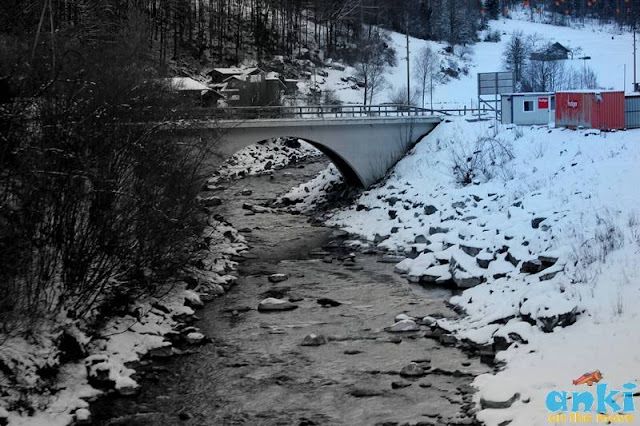 Yes, as the global warming is warming up the regions including this part of Switzerland, there is a permanent process of erosion in the mountains and the melting of snow into water. That is why nets are installed, in the regions higher up, because that’s where more risk is and the net helps contain what falls down. At places where there are heavy chances of avalanches, the train goes through tunnels. It’s magnificent to see how its planned, however , the construction of Jungfrau cogwheel Railways wasn’t easy. 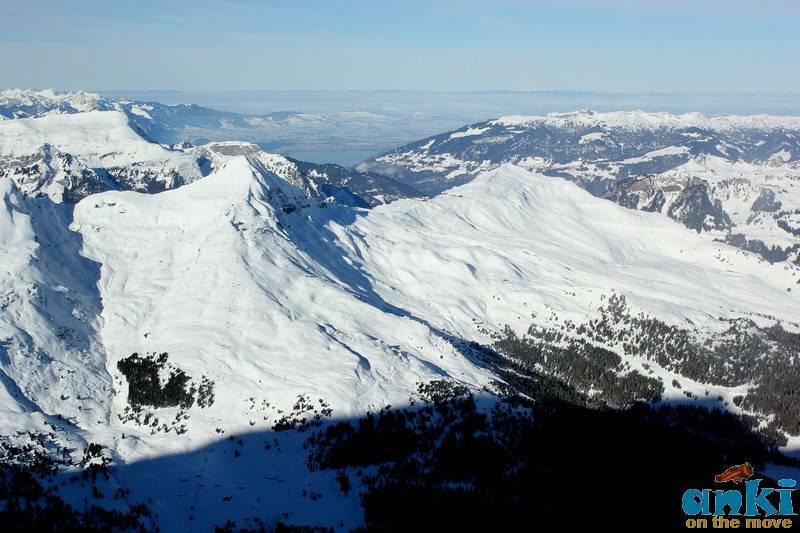 It all came from an idea of a Swiss Industrialist Adolf Zeller who was hiking in the region. The railway king wanted to blast a tunnel through the rock of Eiger and Monch and construct a cogwheel railway to the Jungfrau Summit. Local folks saw the touristic potential and supported his plan. In 1896, the construction began with 100 Italian laborers. In 1898, it started with the blast work of tunnels. A miners daily wage was only 4.6 francs. It was a hard life for the miners, as they also used to work in the winters, sleeping there,as they couldn’t go back because there was no train, so they had to bring all their stuff at the beginning of the winter and stay there for 6 months.The workers made rapid progress in the tunnel however in one of the blasts of 1899, the explosive claimed 6 lives. 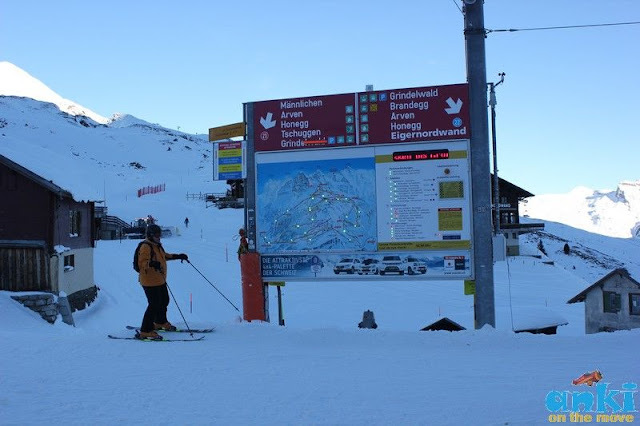 Strikes happened but the work goes on and two stations were opened Eiigerwand and Eismeer. 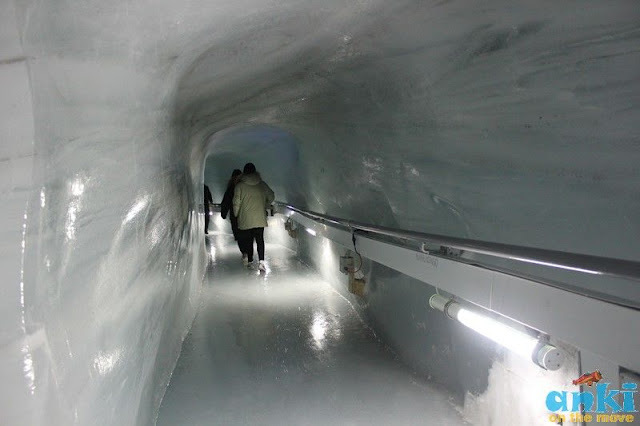 Then in 1905, financial problems forced the work to be suspended for 2 years also it was very difficult because it was in the glacier and the glacier moves. 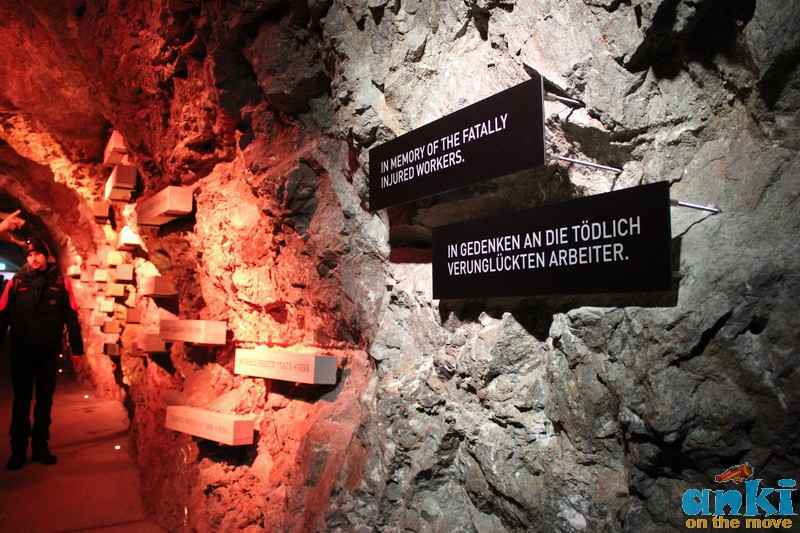 In 1912, the miners used more dynamite than its permitted and blast through to daylight. The shout of ‘ through' echoes along the tunnel and the masterpiece of the final station of Jungfraujoch happened. 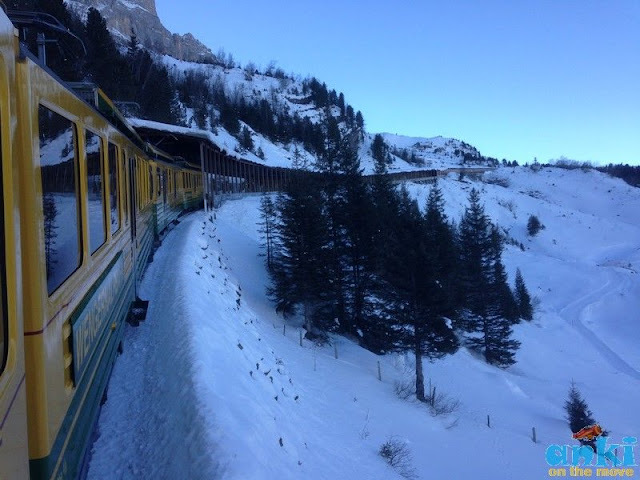 The First sector of Jungfrau cogwheel railways was completed in 1819-1823 and the first station is at 7000 feet, where the train stops for a while, and you can get down and click pictures from the windows. The views from the train from Klein to Jungfrau. The second sector was completed in 1912, which is 13000 feet. It took 16 year construction period and 16 million francs to construct the Jungfrau railways. It has to be special. Not only that this has to be special, this has to be well-planned and kept. The Matterhorn is one of the highest peak of Europe but Jungfrau is the highest accessible mountains hence called the Top of Europe. 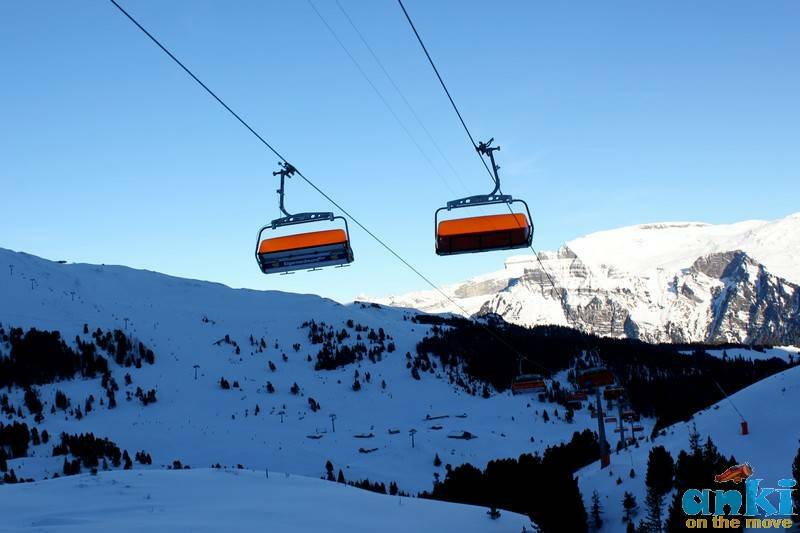 If you happen to arrive at Kleine during the first week of April, be aware of the festival ‘SnowpenAir' SnowpenAir is an open air concert on snow in Kleine Scheidegg, in breathtaking scenery at 2061 metres above sea level, is the musical highlight of the winter season. Year after year, world famous stars rock the stage. Other events like Ski world championships happens in January, Jungfrau marathon in September and NBA and cricket as well. 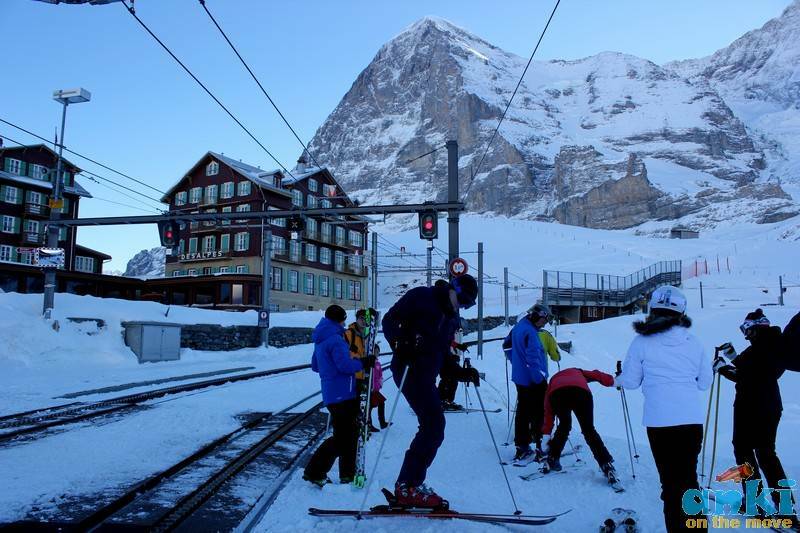 You would see Eiger mountains from the Kleine station. The Eiger mountains is also called the beast because there have been many deaths (more than 60) climbing Eiger during early attempts in 1939 and after. 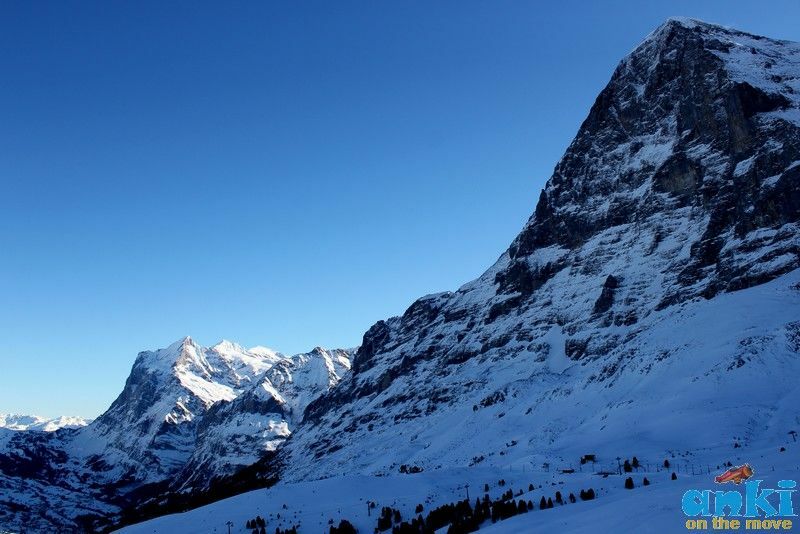 The Eiger is a steep climb with the risk to avalanches. Today experienced free climbers can climb it in 2-4 hours. Now when we’ll reach at the top, there’s a main complex directly from the station hall, where coffee bar is located on the right and tour directions on the left. 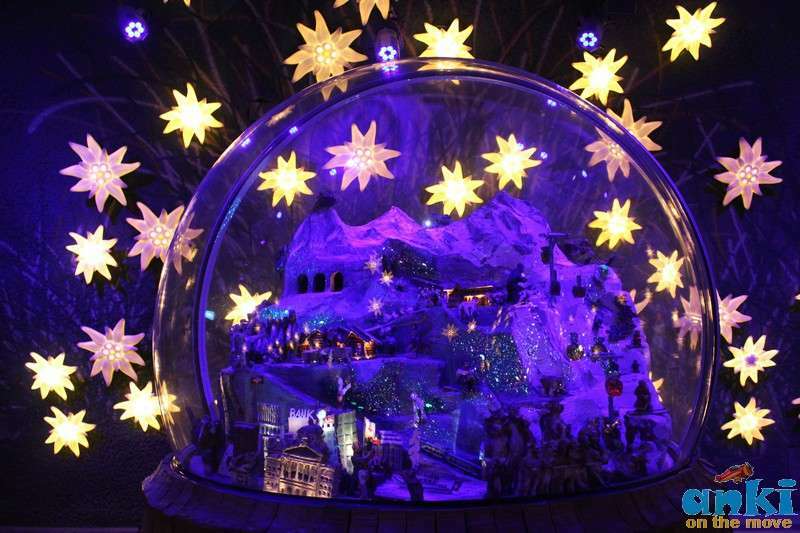 You would also pass through some souvenir shops here, however if you wish to buy souvenir best place would be interlaken. 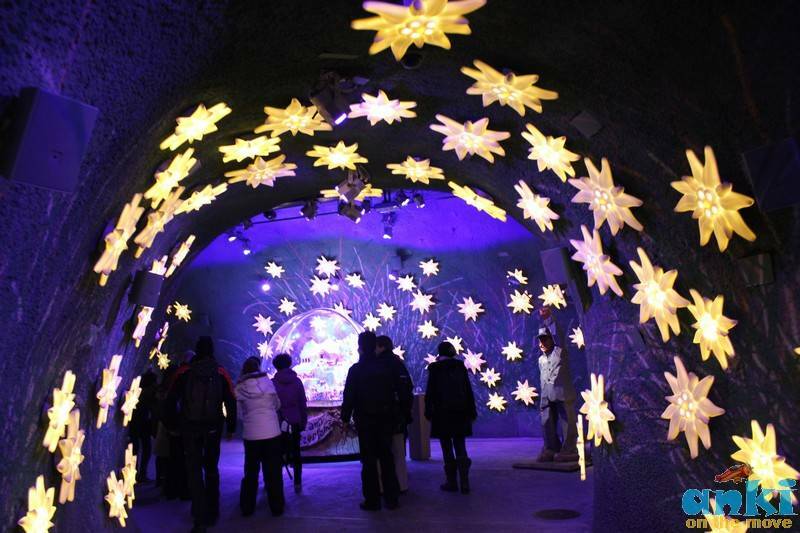 The first attraction of the tour is Jungfrau Panorama a 4 min cinematic experience. Then would come Alpine Sensation which is a tour with images through history of Jungfrau railway construction. Eating at a restaurant in Jungfrau complex. Make sure you take the fastest elevator of Switzerland up to another 350 feet in 27 seconds to the Sphinx Terrace (3571m). The Sphinx is a highlight of sorts. When we went, it was very windy there however the views from the vantage terrace was sensational with the views over Aletsch glacier and on clearer days, you could even see Vosges in France and Germany’s black forest.The Swiss flag waves from the vantage terrace to high and white Swiss alps. Be careful with your equipments i.e mobile phones though, the vantage terrace is like a grid at base, so if anything falls, it might just end up where you can never find i.e lost somewhere in the alps. Also wear gloves, if its windy. 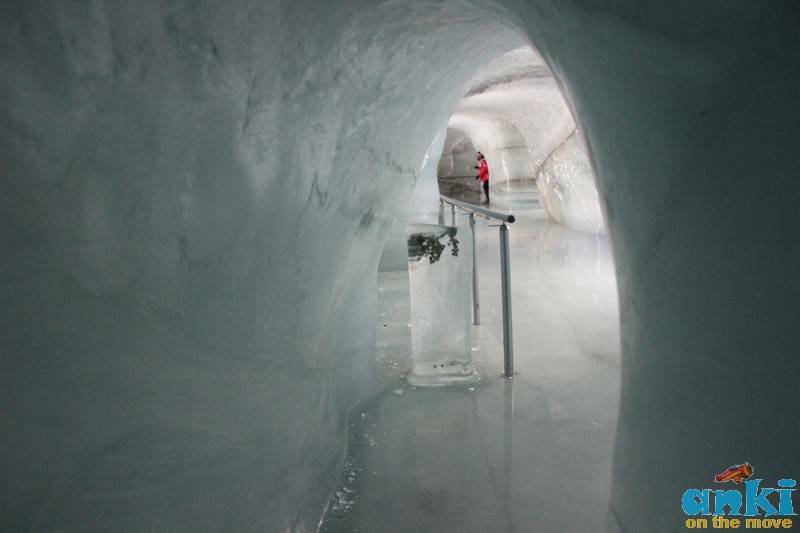 Another spectacular place to visit in Jungfrau is the Ice Palace. Human creations are sometimes so breathtaking, this one is one of them. For one reason, that this ice palace is reconstructed many times after its creation in 1930’s, because ice melts. And due to heat generated by such large numbers of visitors and global warming, the section has to be constantly kept in temperatures of -3. 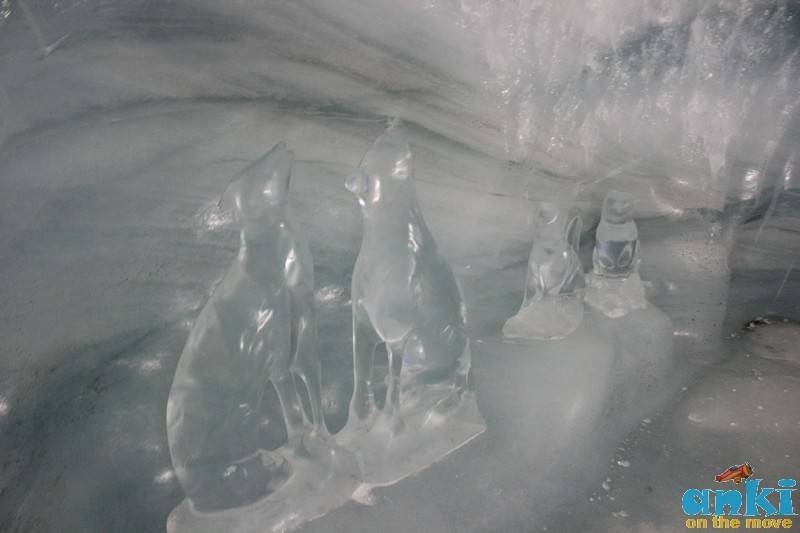 There are mazes inside the ice palaces where you can walk and also sculptures made of ice. Some parts of ice palace moves up to 15 cm per year. There is also a Lindt chocolate shop in Jungfau and I have heard that you get some flavors which you wouldn’t get anywhere else. Departure by train from Jungfraujoch to Alpiglen. This is a must do activity for all adrenaline seekers. 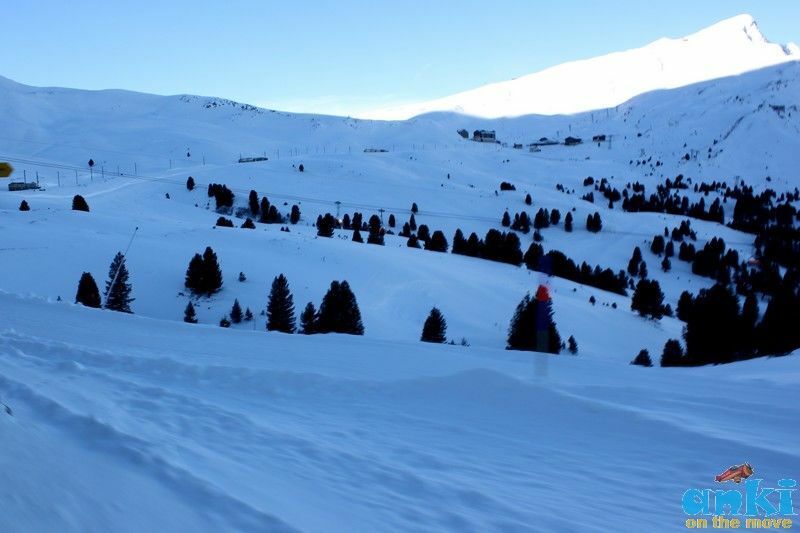 Feel the tingle of wind, as you maneuver with ropes of manual sledge (there are no auto controls) to change directions in the downhill track with curves and steep twists at times. 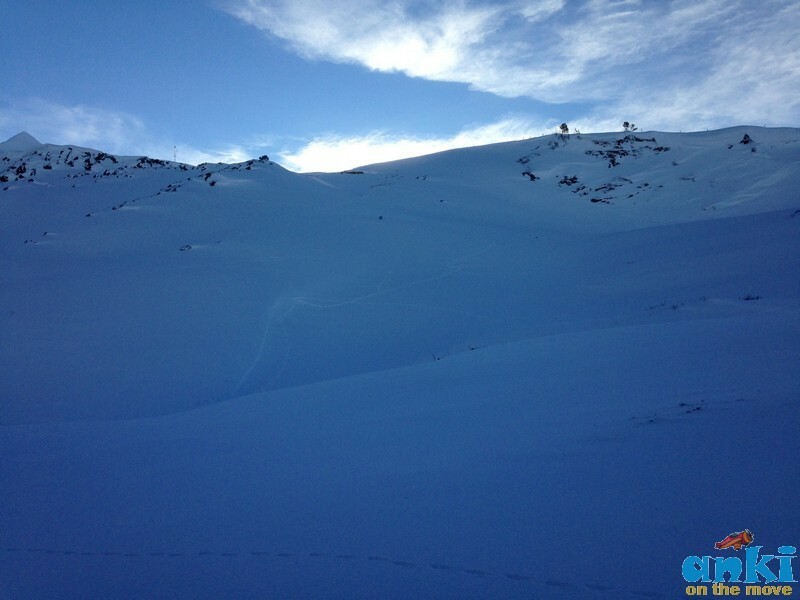 It feels similar to go carting on snow but in this case you are on a mountain with tracks. The only brakes are your legs and your hands are your rope twister. It runs really fast, and you have to be very attentive but its a lot of fun. The best way to do is to know how to stop and as much as possible stay on the mountain side or on the center of the track than the valley side. But still its a lot of fun! Specially the last track, where I fell of the track as one funny incident because I thought this is the last one, and it was straightforward but for some reason my mind went off and I went sides but its also where you can almost feel the flight of flying in the air post a little up track! It’s important to slow down before the finish line, because after the finish line is the rail line. But a must do really. Return your sleds at the Brandegg train station. Departure by train from Brandegg to Interlaken OST. 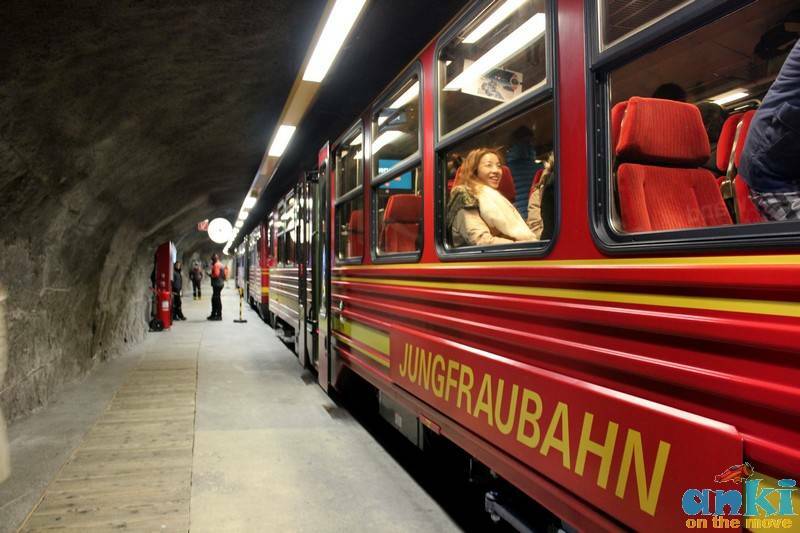 1) The Jungfrau railway has its own fire brigade on top of Europe. 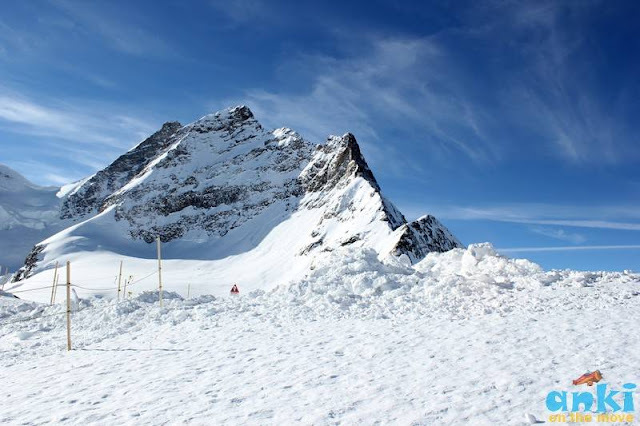 13) A tennis, a football, a cricking and a boxing match have been held on Jungfrau. Fabulous, I would like to go there lovely place. Wah wah wah what an amazing place. Marvelous.